You know you think you’ve seen everything when suddenly a man pops out of the Thames playing an electric guitar. The guy must have electrocuted himself! You lead a very interesting life and I’m very happy that you share such anecdotes with us. Made me laugh so thanks! 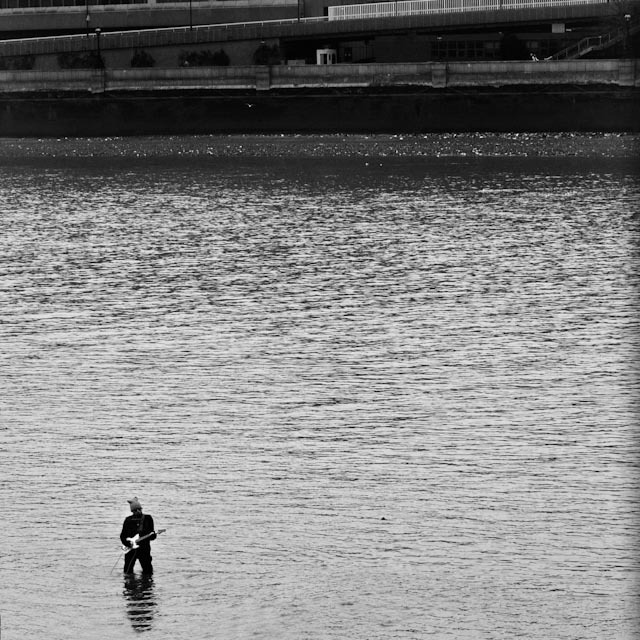 It was a rare sight to see – man in Thames with electric guitar – but rather brilliant too. The Baby on Board badges are provided by TfL so people know that a woman is pregnant and might need a seat. A sad indication that manners aren’t necessarily what they once were, though it does also save the potential embarrassment of offering a seat to the wrong person! I’ve never seen a guitarist in the Thames though!